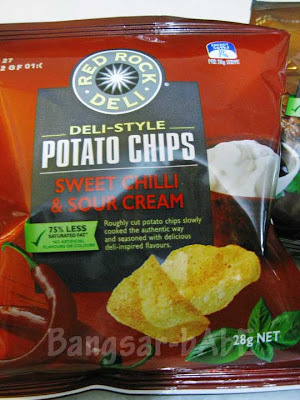 Jeen gave me some Red Rock Deli Chips to try, and I love it! Of the three, I like the Honey Soy Chicken best. Sweetish, salty and chicken-y, what’s not to like? =) These chips are thicker cut compared to Lays/Real McCoy, but amazingly crispy. The Lime & Black Pepper is an ingenious combination, I don’t think I will like sour cream as much after eating this. They are insanely addictive! I heart Red Rock Deli Chips! Hey where can i get this ? Very tempting ….. If you know of anyone who’s going/coming back from Aus, get them to pick up a few packets! I luv snacks! they look great! 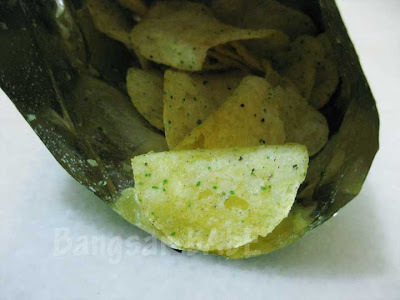 We believe the crunchy crispy Indian worm type chips ( 1 inch long curve ) with the biting taste rules supreme , unlike the crazy salty papadam which we find oddly strange to be in banana leaf rice and the packed potato chips well, hygienic and good to be in Cinecomplexes! reminds me of the aussie days..days b4 the exam..stocking up on these chips..
Joe – I’m guessing you’ve tried ALL the flavours?? oh how sad is dat ….. i wish i can have it …. 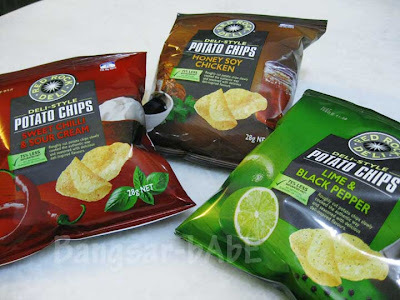 I believe Kettle chips are similar in thickness and crispiness as well. u should try dijon mustard. best. Oh yeah!! Red Rock Deli MUST HAVE!! Anonymous – Will get someone to bring back some for me! yay! i see you've found my favorite chips. 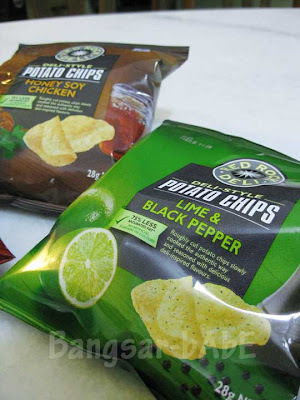 i only eat this flavor from red rock the rest nah… lime and black pepper rocks my world. Now I can’t wait to taste red rock deli chips. thanks for the wonderful entry. One of the things I seriously miss from Australia! Must ask my friend to bring back for me next time!